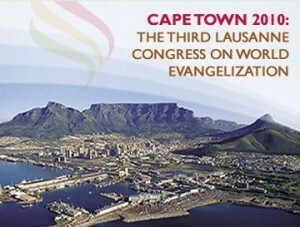 David Guiles, executive director of Grace Brethren International Missions, sends the following report from the Third Lausanne Congress on World Evangelization meeting October 16-25 at Cape Town, South Africa. Meaningful conversations today with leaders from Rwanda, Australia and Puerto Rico expanded my knowledge of the width and breadth of the glorious church of Jesus Christ. The book of Ephesians has guided our thoughts throughout the week. Each morning, we begin with Bible reading, group study and a devotional by a recognized evangelical leader. Today Kenyan pastor Calisto Odede challenged us from Ephesians 4:17 – 6:4 to match our daily walk with our theology. I recommend you download his and other messages from the Lausanne website. There you will find a wealth of materials, including the creative videos and skits shown throughout the week. The theme of the day was integrity, and powerful messengers called upon the global church 1) to abandon the seductive idols of power/pride, popularity/success, and wealth/greed, pursuing instead the paths of humility, integrity and simplicity; 2) to reject the ‘prosperity gospel’ as ‘another gospel’ (Gal 1:8), completely inconsistent with Christ’s call to radical discipleship; and, 3) to pursue biblical patterns for male/female roles. 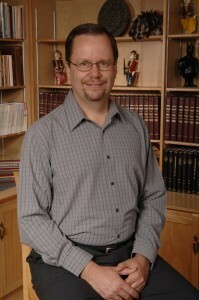 David Guiles is executive director of Grace Brethren International Missions. To keep these updates short, I haven’t been reporting on the afternoon Multiplexes and Dialogues. You can access cutting-edge thinking on a multitude of topics of interest to the global church on the Lausanne website. Whatever version of the fullness of the Spirit you ascribe to, Get it! The greatest obstacle to God’s work in the world is not found in other religions, persecutions, or world structures. It is the worship of other ‘gods’ by God’s own people. When we present giving as an opportunity for investment, we are falling into the same trap as the prosperity gospel. Giving is not an investment; it is an act of worship. We need a radical return to the Lord. “Repent and believe” was addressed to the people of God. The US churches who have taken up the term ‘missional church’ seldom do missions. Their focus is almost exclusively on local ministries. We are living a strange moment in history. We’ve seen the collapse of communism and the failure of capitalism to meet man’s deepest needs. Those needs can only be met by the gospel of Jesus Christ. The evening plenary session highlighted ministries in Eurasia. At Lausanne II (Manila, 1989), there was only one representative from the region. At Lausanne III, one hundred and twenty participants represent twelve countries formerly dominated by the Soviet Union. We concluded the evening session with a protracted season of prayer and intercession. Tomorrow we conclude Lausanne III, but in many ways the work is only beginning. Please pray for the final day of this historic Congress. And pray for me as I head to the airport to catch a midnight flight to Amsterdam, beginning a 24 hour journey home.